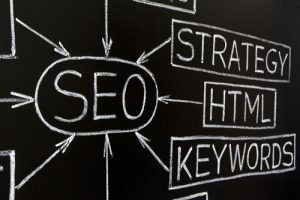 Search Engine Optimization or SEO is a useful and powerful marketing strategy that can help drive traffic to your website by increasing its visibility. SEO is an organic strategy that uses keywords pertaining to your business, services, or products for an effective approach. Search engines understand the value of an optimized site for its users and rewards those that follow their search algorithms. Our goal here at Balta Design is to increase your site’s traffic while making it as easy as possible on you, the business owner. The process will help in getting your web pages ranked highly on search engine results pages, leading to more website traffic. If you are in need of search engine optimization in St Charles or have any questions about our other services, call us today at 630-492-0147. You can also click the Request a Quote tab on the right of this page and one of our associates will respond shortly. Here at Balta Design, we offer both organic SEO and paid advertising such as PPC on the major search engines. SEO is more focused on developing and expanding content already on your website. In doing so, you are providing potential clients with useful and relevant information based on your keyword searches. Paid advertisement such as PPC is a great way to bring in traffic very quickly. Doing a PPC campaign can help your organic search terms through your SEO campaign. Our PPC experts work with you to develop an advertising plan that will stay within your budget and puts your ads in a place to compete with your competitors.